The London Rattan 6pc Outdoor Furniture is a stylish yet affordable outdoor setting designed to provide utmost comfort. Lay back and let yourself drift away to your personal oasis. 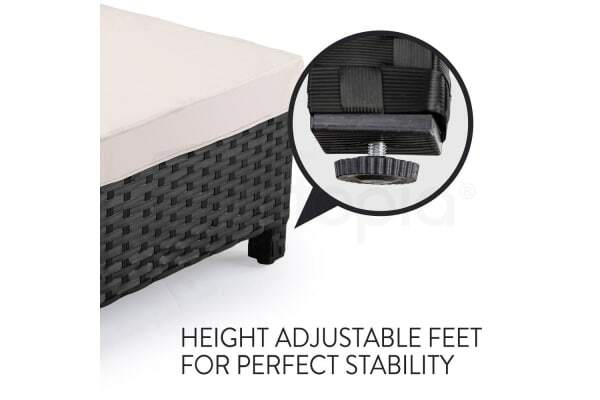 Built with premium density foam seat cushions, you’ll enjoy generous support while you relax. 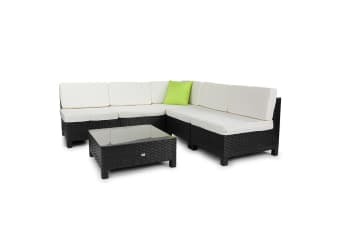 The London Rattan outdoor furniture setting has durable solid steel frame, and high-quality UV-resistant Suntech wicker. Comprising of four armless sofas, one corner sofa and a coffee table, you can set it up in a range of different configurations; U-shape, L-shape and many more. 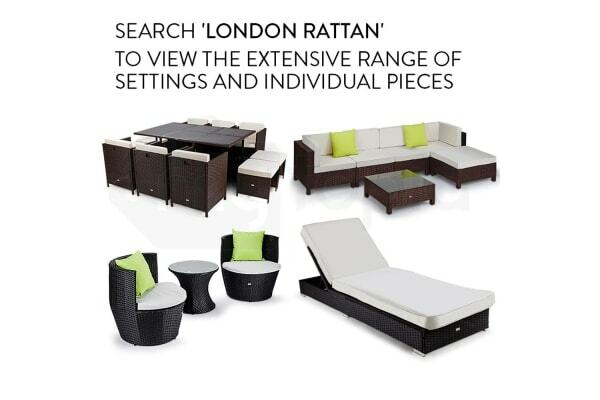 The London Rattan is clearly the perfect addition to any outdoor area.